Kohler has launched the Tailor Customizable Farmhouse Sink with interchangeable front panels. 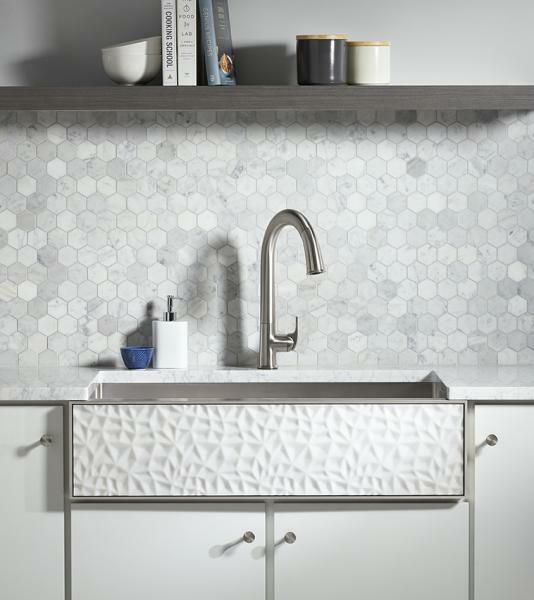 Tailor can accommodate a front panel specified in a completely custom material, such as tile or counter slabs up to 3 cm., or one of six Kohler curated panels. Kohler’s selections range from etched and carved stone to floral graphics. Tailor sinks are made from 4-gauge steel and are offered in three configurations.